An impressive body of literature supports cannabinoid analgesia, and recently, this has been supplemented by an increasing number of phase I-III clinical trials Health Canada: “about half of the 400,000 marihuana users say they use cannabis mainly for chronic pain”. We offer medical practitioners information, education and advise regarding pain treatment options, medical cannabis and the latest research on cannabinoid receptors. Our objective is to provide some of the newest information based upon a large body of work done over the past several years. 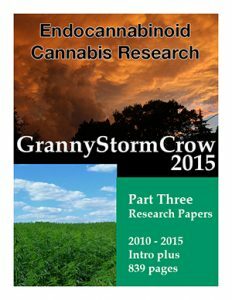 One of the resources we present for your review is a collection of peer-reviewed studies done in the “StormCrow” papers. You can find a wealth of infomation that has been published on cannabis over the past twenty years, new research and recent studies on the Endocannabinoid system. Here you can read over 15,000 research studies broken down under several medical conditions. Links to the papers are listed so you can review the work. 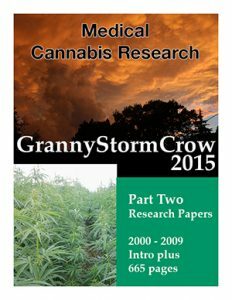 Part one covers research done between 2010 – 2015. Part two is earlier studies from 1999 – 2009 and Part three is newer endocannabinoid studies being done currently. 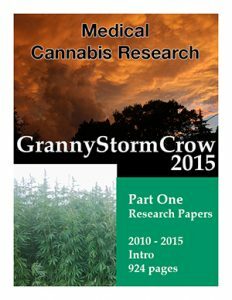 You can download these Medical Cannabis Research PDF files here. Parts one and two cover studies from 2000 – 2015. The CCIC is commited to engaging health care practitioners regarding the therapeutic issues surrounding cannabinoids through access to on-line learning tools. This will serve to foster continued professional development of its members. The general public may also access general information on cannabinoids and links to other credible organizations.